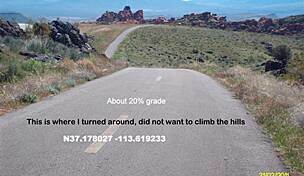 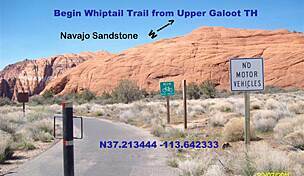 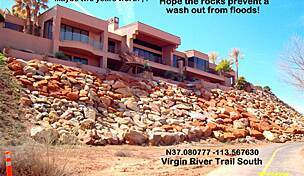 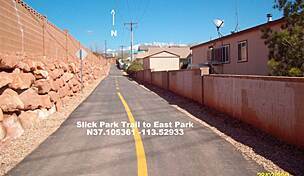 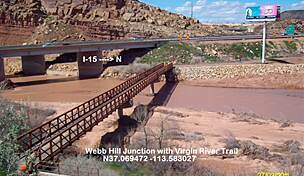 The Slick Rock Park Trail is a short paved loop within the scenic park in St. George. 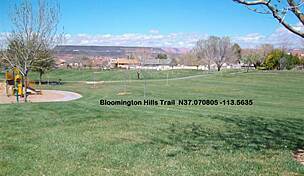 The park offers rock climbing boulders for children, along with restrooms and a picnic area. 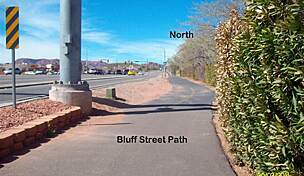 Pick up the Slick Rock Trail from the park's eastern edge to reach 2450 East Park to the north. 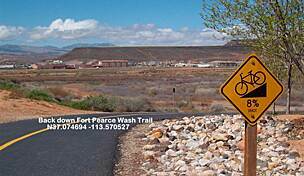 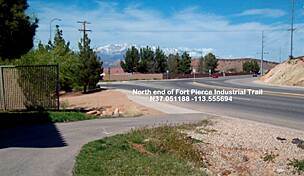 Parking for the trail can be found in Slick Rock Park (2395 Riverside Drive, St. George). 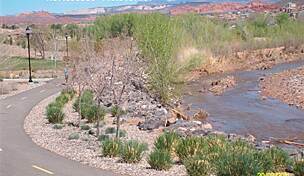 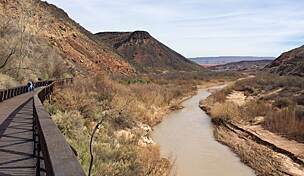 The Virgin River South Trail is a part of the St. Georges trail system. 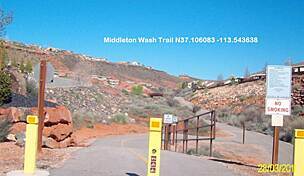 It connects to the Fort Pearce Wash Trail at its southern end.